The approach to discipleship ministries is as diverse as the churches that seek to obey Jesus in this endeavor. Each has its own approach even within the same denomination. This is also true within the same church even when curriculum has been standardized. Here I will provide a brief review of the Apostle Paul’s approach to ministry as described in Philippians 4: 9 followed by a discussion of discipleship in three churches of which I have had the privilege of being a part over the past 12 years. I will then discuss the resources employed by those churches and how they implement the Biblical model previously described. In closing I will discuss the resources best align with the Biblical model. The church at Philippi held special significance to Paul. It was the first church he established in Europe. Paul’s letter to the Philippians was sent as an encouragement for this congregation from prison though Paul would have preferred to have encouraged them in person. The letter touches on several topics deserving of study though the theme is living the Christian life. Throughout this letter Paul explains what progressing in the faith will look like and presents himself as a model of living the Christian life in verses such as 1:12-18; 3:17; and 4:9. It is in Philippians 4: 9 we find Paul providing a simple yet powerful statement of his approach to discipleship: do as I have taught you and as you have seen me do. Paul understood that a great deal of learning is derived from imitation thus the importance of a teacher as a model to be imitated. Sound teaching is important but it must also be modeled. The state of discipleship in today’s churches is a topic unto itself. George Barna devotes an entire chapter to discussing this very topic arriving at some rather unflattering conclusions about the effectiveness of modern churches. It is sufficient to say simply that the state of discipleship is not what it should be in American churches with some exceptions. By and large most churches are “doing” discipleship in some form but the lack of effectiveness is certainly without question. I have had the pleasure of being part of three growing churches over the past 12 years. Each church was experiencing growth but for different reasons. The first of these churches has remained very traditional in terms of worship style, music, preaching style, and approach to the primary discipleship ministry, Sunday School, in which quarterly curriculum was utilized by the vast majority of those in teaching roles. 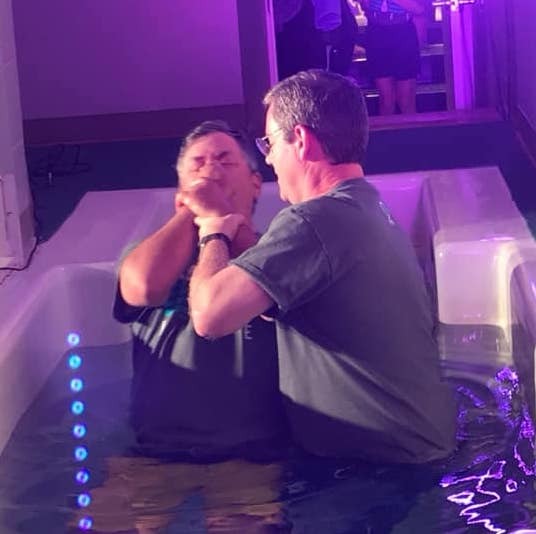 The decision to remain traditional in approach while other churches in the area changed to a more contemporary worship style resulted in a great deal of growth though this was mostly among the senior age group. The second of these churches offered three different worship services (traditional, blended, and contemporary) on Sunday morning along with Sunday School. Teachers were encouraged to use quarterly curriculum though were not required to do so among the adult age groups. Sunday afternoon was dedicated to outreach activities (e.g. visitation, letter writing, etc.) followed by assorted Bible studies. At any given time, there were about a dozen such studies that covered such topics as doctrine, theology, what other religions believe, life application, and so on. Though there were fewer worship services, these were replaced with additional opportunities for Bible study. The church is experiencing growth more or less at the same rate as the community itself. The third church offers services on Sunday morning and evening along with Sunday School. A quarterly curriculum is not commonly used. Instead, the desired learning outcomes for each age group are discussed among the leaders followed by specific curriculum selections targeted for those outcomes. Of course, the desired learning outcomes take into account any perceived deficiencies. Sunday School classes are subdivided into care groups that are allotted time each Sunday but are also encouraged to continue their fellowship outside of church. Since going to this model two years ago, the church has experienced growth of about 35%. 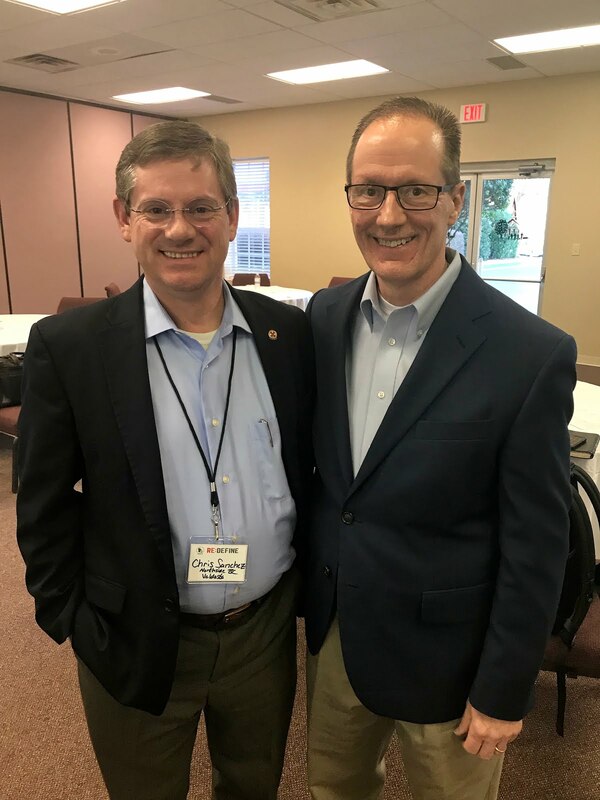 The first two churches discussed have differing approaches to their worship style and frequency of worship service yet both approach discipleship through the use of quarterly materials purchased through their denominational association. 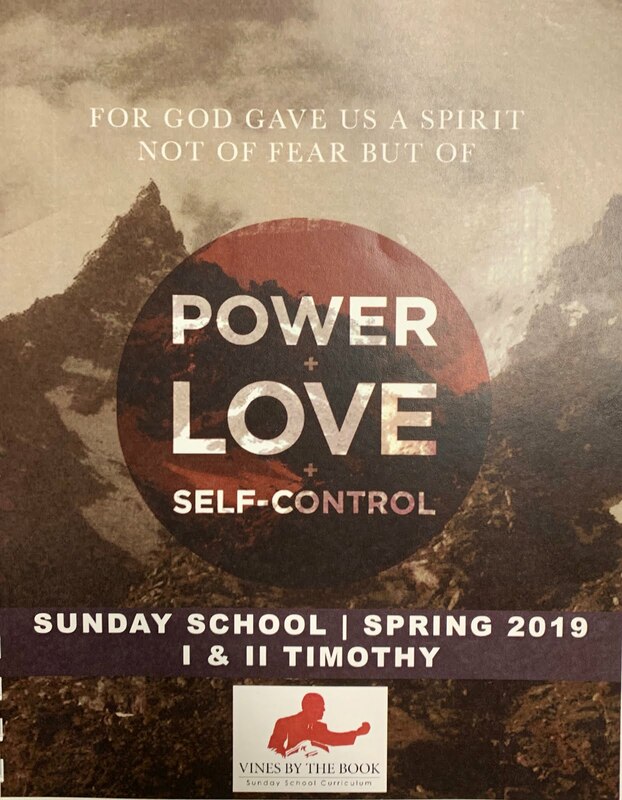 The second church goes a step further in offering additional discipleship opportunities on Sunday evenings but the materials used for this purpose are from the same source as the quarterlies. As would be expected, the materials are well written and when presented properly are effective in communicating the intended message. However, both churches do not to take inventory of the needs of the learners preferring to simply accept whatever has been planned by their association each quarter. In fairness, it should be noted that there is a seven year plan that these churches are aware of and have had the opportunity to accept or look elsewhere for curriculum. The third church discussed is much more intentional in the approach to materials to be used in discipleship. By first determining the desired learning outcomes to be achieved, there is more thought put into the planning process. This does lead me to believe that discipleship is more something that is part of the church rather than simply being a program. When asked about this approach, the senior pastor says, “I fail to see how the church can make Biblical disciples who go on to reproduce themselves without being intentional in our discipleship ministry. Discipleship is not a program at our church; it is part of who we are as a congregation.” To that end Wednesday evening is devoted specifically to teaching participants how to simply and with confidence share their faith with non-believers. Each church meets the teaching aspect Paul mentions in Philippians 4:9 but more needs to be done in modeling the behavior being taught. In the first church discussed, the pastor's involvement with the other ministries of the church is somewhat limited. In the second church, the pastor is more involved in serving in various other ministries providing him with the opportunity to model service and servant leadership. In the third church, the pastor is involved in many ministries and he and his wife even take a turn in the nursery once per quarter. In all three churches, the vast majority of Sunday School teachers serve in one or more other ministries of the church. Pastors of all three churches spend a significant amount of time with various lay leaders though the amount of time does seem to correlate to the size of the church. This observation is not unexpected. 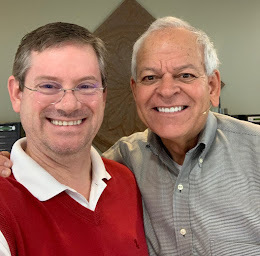 Howard Hendricks states that the Christian educator strives for nothing less than the transformation of the believer into the image of Christ. The attention to the desired learning outcomes prior to selecting curriculum seems like an approach that would dovetail perfectly with that goal. The fact that it was found in only one church is curious. While there may be additional effort required for such an approach, the benefit of taking a more customized approach would have benefits far and above the use of materials created by others who are not aware of the needs of a specific congregation. That is not to say that such materials are of inferior quality but rather is an admission that there may be more reliance upon the judgments of others as to the spiritual needs of a local congregation than there should be. The willingness of pastors and lay leaders to serve others in unrelated ministries provides a model for less mature Christians to observe is an essential part of discipleship. It is impressive that such participation is so high and that this appears to be a common trait. This modelling behavior coupled with assessing the spiritual needs of the congregation by age group are key! The hard work involved in such an effort is essential if disciples who reproduce themselves are to be created. See Acts 16:6 – 40. Walvoord, John F., Roy B. Zuck, and Dallas Theological Seminary. The Bible Knowledge Commentary: An Exposition of the Scriptures. (Wheaton, IL: Victor Books, 1983-c1985), 646. Anthony, Michael J., ed. Evangelical Dictionary of Christian Education. (Grand Rapids: Baker Academic, 2001), 679. Barna, George. Growing True Disciples. (Colorado Springs: WaterBrook Press, 2001), 33-56. Edmonds, Kevin, interview by Christopher L. Sanchez. Discipleship at Cherokee Baptist Church (September 16, 2010). As overwhelming as the points covered in my last few posts might seem, there is more, much more. With this proper understanding of what culture is, worldview being at the core of culture, the importance of contextualization and avoiding syncretism, there is little wonder that a great deal of training is involved before missionaries are sent abroad from sending countries. Fortunately, a church that might want to become involved with supporting missionaries, sending missionaries, or church planting is not alone. There is a wealth of resources already available. The Joshua Project is a research initiative that seeks to highlight the ethnic people groups with the least followers of Jesus Christ. Information is available concerning the languages spoken among various people groups in a particular country, the status of Bible translation into the local language, the Jesus film, audio recordings and tracts that help with evangelism. The project also tracks data on local religions including the progress of Christianity among the indigenous people. More tools are being developed too such as tablet and smart phone apps that missionaries might use in the field. On the denominational front, the International Mission Board (IMB) and the North American Mission Board, both entities of the Southern Baptist Convention, exist for the sole purpose of sending missionaries to underserved parts of North America and the rest of the world. A similar outreach called the General Board of Global Ministries is the global mission agency of The United Methodist Church. The Roman Catholic and many others have similar outreach ministries that span the globe trying to reach the lost people groups of the world with the gospel of Jesus Christ. The point is simple: there are a great many resources available and a tremendous outreach effort already underway from all corners of Christendom. Interested individuals and local churches can easily become involved in local, domestic and/or international missions should the desire to do so be present. They need only express the interest and follow the Great Commission. We do not need to reinvent the wheel! Missions is not the goal of the church; worship is. Missions exist because worship does not exist. When this age comes to an end and the redeemed fall on our faces before God missions will be no more but worship will continue forever. In the opinion of the author we must never lose sight of this fact. This should also energize all Christians for the cause of reaching the nations with the gospel. The role of culture in communicating the gospel cannot be ignored. Without understanding culture, it is unlikely that the missionary or church planter will have much success. This understanding includes understanding that worldview is the core of culture. Before an opportunity to be an example to the receiving culture is possible (John 13:15), the missionary must first win the trust of the people. Learning the language and the local customs is only part of the equation. The missionary must become a partner with the laypeople in the new church plant teaching proper hermeneutics to the new believers while learning how Christianity adapts to the receiving culture while subtly going to work on the worldviews of the people. This partnership should result in contextualizing the gospel in a manner that assists the receiving culture in better understanding the truth being presented. It should be relevant and address the issues the people face while also being guarded against adopting the local culture in such a way as to dilute the gospel. When syncretism takes root, true Christianity is obscured. While avoiding this outcome, it is equally important not to overcompensate and force Western values on the receiving culture as this can and often does result in those beliefs being adopted for church situations and disregarded in much of the rest of the lives of the people. The gospel should be presented using narrative much as Jesus did when teaching the people and his disciples. People remember stories much better than other methods of teaching and also find practical ways to apply those lessons to their lives. Winning people to Christ and helping them grow in the faith is being obedient to the Great Commission. Seeing people worship the true living God, now that is exciting! U.S. Center for World Mission. Joshua Project. 2009. http://www.joshuaproject.net/ (accessed August 14, 2012). Piper, John. Let the Nations Be Glad! : The Supremacy of God in Missions, 3rd ed. (Grand Rapids, MI: Baker Academic, 1993, 2003, 2010), 35. Coleman, Robert E. The Master Plan of Evangelism. (Grand Rapids, MI: Revell, 1963, 1964, 1993), 66.